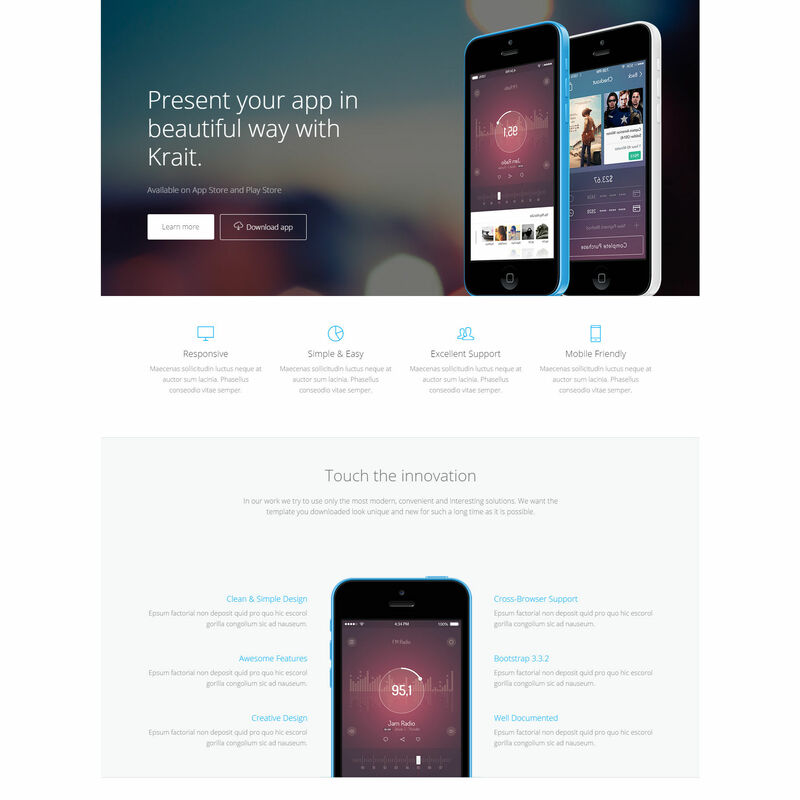 Krait – is a modern and clean landing page theme for Mobile App, designed for many kind marketing website. It has different homepage styles. It has clean structure, professional design and SEO friendly code Well organized and comment codes so it’s very easy to customize and use in your project according to your needs – all these make this template to be the best suited for your mobile apps.